Ginny is a member of Tri Kappa, a women’s chairity organization here in Culver. They held a chairs for charity auction and asked me to shoot some pictures. I thought this selection of chairs would be most interesting. They had several chairs representing every type of method of artistry among them. One was a knit chair, some were painted, some were upholstered, some were decorated for a specific theme, and there were some unusual, one-of-a-kind pieces. They raised over $7,000, which is impressive in our little town. Congratulations to all of the artists who contributed and to the Tri Kappa women who hosted a classy event. Today, I was visiting friends Tommy and Coleen Denham. 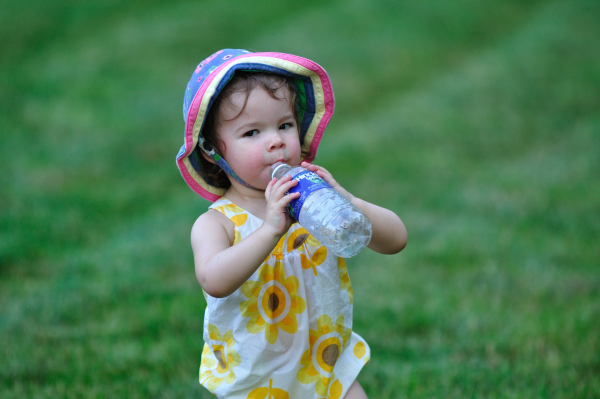 Their daughter Sydney was enjoying some of her water toys in their back yard. I had my camera in the car, so Tommy asked me to get some shots of Sydney playing. Sydney is obviously a beautiful child, so I tried to get her to ham it up for the camera. I think she did a great job and had a good time. You’ll see a lot of blog entries for Miss Lucy Quinn Martin, our niece and daughter of Angie and Darin Martin. It’s obvious we love shooting our nieces and nephews. Lucy is one of our favorite subjects to shoot, as she has so many great expressions, and she is such a happy child. Lucy is full of joy and expresses it so freely among those she’s surrounded by; she also seems to express what I can only describe as her “brilliance.” As Ginny likes to say, “Lucy is a brilliant child,” and her way of exploring the world shows how how quickly she learns. Capturing her childhood moments on camera is a lot of fun and makes you feel like you can have a little bit of that childhood joy again. Ginny and I like to use a long lens when photographing candid moments, as kids will forget you are there if you don’t intrude on their playing time and what they decide to explore in those moments when they don’t realize you are there. 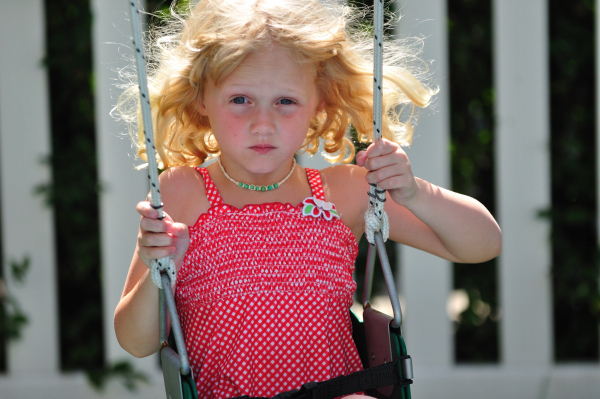 Lucy will give you ample opportunity to shoot her every expression of childhood joy if you wait patiently. In these shots, Ginny and I captured her as she wandered about while the adults played a baseball game in the backyard of Ginny’s parents’ house. There is also one of her trying to figure out what is going on with her shoe after a trip to the beach. A thin string was coming out of her shoe, so she stopped in the middle of this field to see what that was about. You can tell she was really tired in the picture. It has turned out to be one of my favorites, as I’ve seen this pre-nap look before, and it seems like Lucy will fight sleep just to figure something else out. Here, the simple thread of her shoe was fascinating enough to take a moment of rest in the field on the way back to the car. 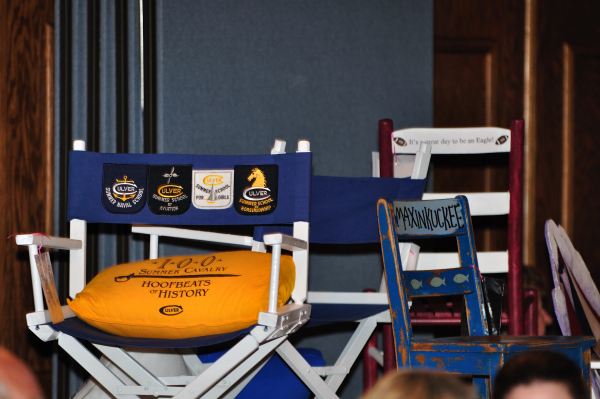 This year, Ginny was in charge of the Boys and Girls Club chairity auction. They went with a “Fabulous 50s Night” theme. It was a fabulous night, as they not only had a great party, but they raised over $40,000 for the Culver Boys and Girls Club. Ginny was thrilled with the turnout. My favorite part of the event was the hula hoop contest. 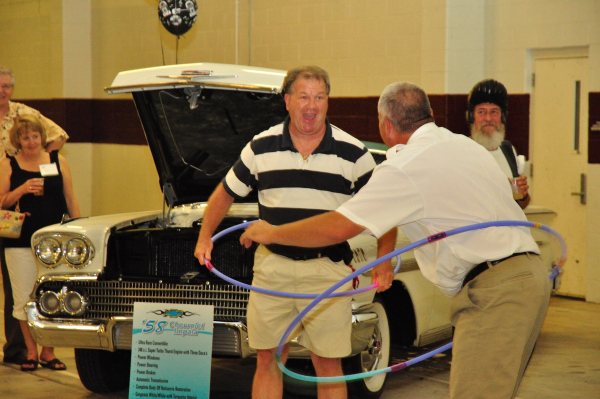 The auction committee planners recruited well-known people from town to participate in a hula hoop contest that raised several thousand dollars. Chief of Police, Chief of Fire, the president of the town council, and many others hula hooped for money for the big event. They also had singer Quintin Flagg, a 50s singer, perform. He did a great job. The silent auction portion of the event was successful, and all seemed to have a good time. I captured a few pictures for the board, so that they could remember the evening. I was out and about in Culver with my camera. 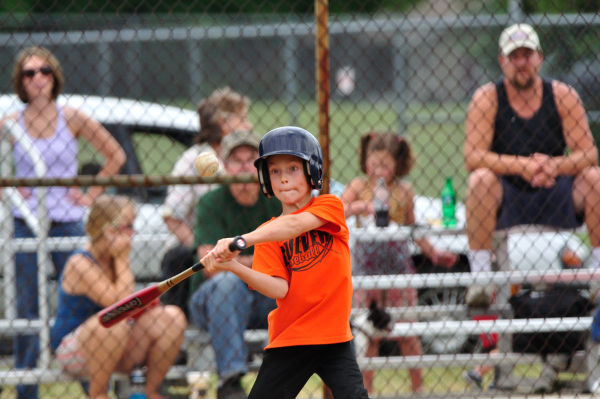 I stopped to shoot this youth baseball game. Shooting kids in this setting is a blast. These kids are at the age that they don’t really know if they are winning or losing yet. They just play to have fun and play their hearts out, they do. It’s fun seeing kids play a sport while they are still learning it. You’d be amazed how well they do listen to the adults. So, be warned adults… kids hear you. Be kind, keep the pressure off, and consider their age when you speak loud enough that they can hear you. As you can see from this selection, kids truly can concentrate on the task at hand. There are so many photos from this year’s Culver Academies graduation weekend that to select a couple to place in our blog was impossible. This past weekend, I took over 6,000 photos from the events. There are photos from the Honor Groups, Final Garrison Parade, Final Ball, and Graduation Ceremony. If you are looking for photos from these events, please visit www.culverphotos.com where I’ve posted all 6,000+ pictures.